Tag Archives for " Platform "
Every individual, whether business owner or employee, needs to understand the benefits of building a platform. 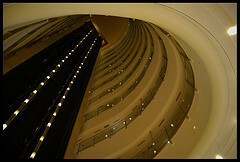 The term platform has often been applied in the publishing world to the reach or audience an author has. Today, we’re all publishers, or at least we can be, and standing out in the crowd by using a strategic approach to building a platform is as equally important to a 22 yr old starting a career as it is to a seasoned consultant launching a new venture. 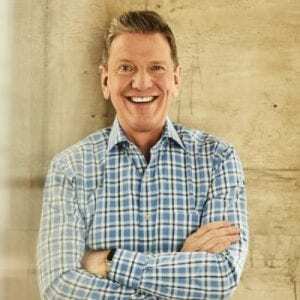 My guest for this week’s episode of the Duct Tape Marketing Podcast is Michael Hyatt, He is the Chairman and former CEO of Thomas Nelson Publishers and he writes and extremely popular blog at michaelhyatt.com. Hyatt embraced blogging very early on as a way to communicate with his organization and has turned this notion into one of the most followed blogs online. Even though Hyatt was considered a successful business person at the time, he effectively built a platform that extended his reach far beyond his role as CEO, aided the reach of his organization and opened the door to the creation of his own books and products. The book is a thorough primer in the art of building a platform using many of today’s online tools. If you’ve read and followed the likes of Chris Brogan, Ann Handley and C.C. Chapman, or Jason Falls or if you’ve been blogging yourself for some time and are a fan of Copyblogger or ProBlogger, you won’t find much in the way of revelations, but the book does a nice job of mapping out Hyatt’s road to building a platform. I’ve been talking about this idea of a business platform for some time now. The notion is that your business can be so much more than a group of products and services. Truly great businesses are now viewed not only as a group of products and services, but also as a place where people can go to work to build things they are passionate about. And, they are a places where an entire community can participate in building things they are passionate about and get more of what they need from the platform regardless of what the business was originally created to do. So the thinking goes like this – How can I get more of what I want out of life through this business, how can I attract people that share that purpose and want to bring more of themselves to working on the company, and how can I build an opportunity that allows other strategic partners or community members to build onto this platform in order to get more of what they need. This thinking will either inspire and excite you, expand your view of what your business is or scare you to death, but in my mind this is the greatest opportunity to build a fully alive business that exists today. I think it can be very instructional to look at how these very obvious examples of platforms got there and how, in some ways, this same thinking and approach can apply to the smallest of firms. If you create a free eBook that’s packed with lots of great information and offer it to several strategic partners to cobrand and send around to their clients, you’re using platform thinking. If you create a blog in your town and and invite a handful of complimentary business professionals to contribute their expertise for the benefit of both reader and the group of bloggers, in a small way, you’re creating a platform. That’s the kind of thinking that I believe holds one of the most powerful opportunities for a business of any size to differentiate, attract committed staff and build a loyal community.